You’re in for a doozy of an Ezine treat! This Spring 2019 edition is perhaps the most jam packed with content Ezine we’ve ever done. We’ve got launches and sales to tell you about, new recipes galore, videos, inspiring testimonies (Including our first Ezine man testimony) Trim Tips and so much more! So carve out some time, grab some coffee or tea, put your feet up for a bit, lower that cortisol and get reading (or watching… when it comes to the videos). 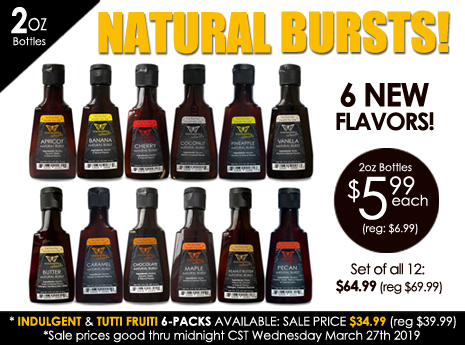 New Natural Bursts Are Here! Finally, our Natural Burst Family is complete. Last year we launched the first 6 of these extracts but had such a hard time keeping them in stock (especially caramel… you guys are obsessed with caramel) not to mention trying to get the next 6 ready for market. Well, all good things come to those who wait because the next 6 have arrived, making a beautiful family of 12 Natural Bursts! Today Banana, Apricot, Butter, Chocolate, Vanilla and Peanut are all new and all on sale at an introductory price. Open any Trim Healthy Mama’s cupboard and you’re going to see a crazy amount of extracts. In fact, many of us might as well admit to having a bit of a problem. Hands up if it is a little scary with how many extracts you already have and how many more you desire! 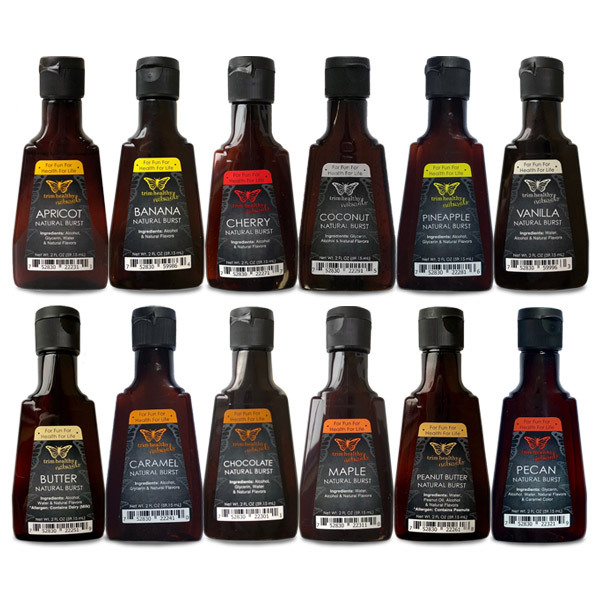 We understood that obsession with flavor and have worked to give you all natural, lovely and potent options that don’t break your bank. No more having to get artificial, less potent stuff from grocery shelves. Our bursts contain no artificial chemicals, flavors or preservatives, and no propylene glycol, msg or synthetic solvents. Yay! Check out the awesome new Butter Me Up Banana Loaf. It is an S banana loaf that tastes so banana-y thanks to Banana Natural Burst but it is super low in carbs and made with no bananas at all! We gave you BAM cake (Bust A Myth Banana Cake) as an E version in our cookbooks that does have bananas but sometimes you just want to slather on the butter right? Add this S version to your life and now you can. And if you have never tried BAM Cake using Banana Natural Burst, you’ve been missing out. It is an absolute game changer for that recipe too. Also in the recipes area… Serene has come up with a new, fantastic recipe for you… Bao Bomb Bars! These bars are absolutely incredible, full of immune enhancing Baobab, balanced protein, metabolism boosting coconut and the taste is like a flavor bomb explosion in your mouth… crazy good! They’re super easy to make and can go in your purse to save you when you’re out and about. They use Apricot and Maple Natural Bursts that combine with lemon juice and Baobab to give a totally unique and addictive bao bomb flavor profile you’re going to want to taste over and over again. Tutti Fruiti Mama Burts: Apricot, Cherry, Pineapple, Banana, Vanilla and Coconut. Indulgent Mama Bursts: Pecan, Maple, Caramel, Butter, Peanut and Chocolate. 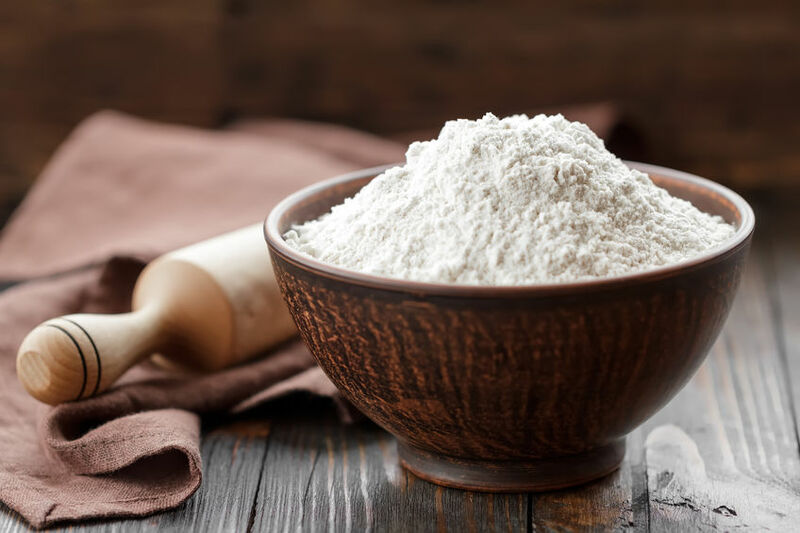 Baking Blend Now Manufactured By Us Baby… What????!!! You’ve been hearing us talk about our own THM manufacturing building for a while now. We’ve been working on it for two years and now… high fives all around… after much blood sweat and tears, it is finally up and running! (the “blood” part… there were a couple of accidents, but everyone’s fine now). It is a huge, 50,000 square foot building where we’ll be making our own bars, chocolate, cookies, chips, crackers, granola…you name it. If you want it, give us time and we’ll most likely get to it. 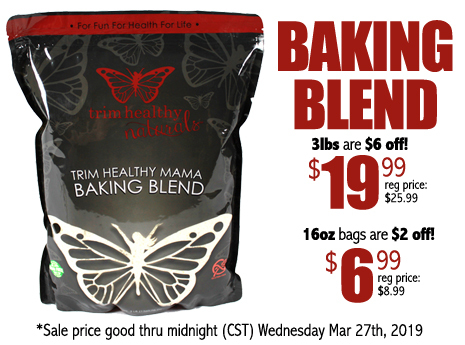 The first two things up and running there are our Feminine Balance and Baking Blend. This is pretty huge for us and something we can’t stop smiling about as in the past all of our products had to be made and packaged in different facilities around the country and around the world. We were always in a mad scramble juggling timing of production and shipping of each product, trying to stay in stock while at the mercy of other manufacturers and their own schedules. 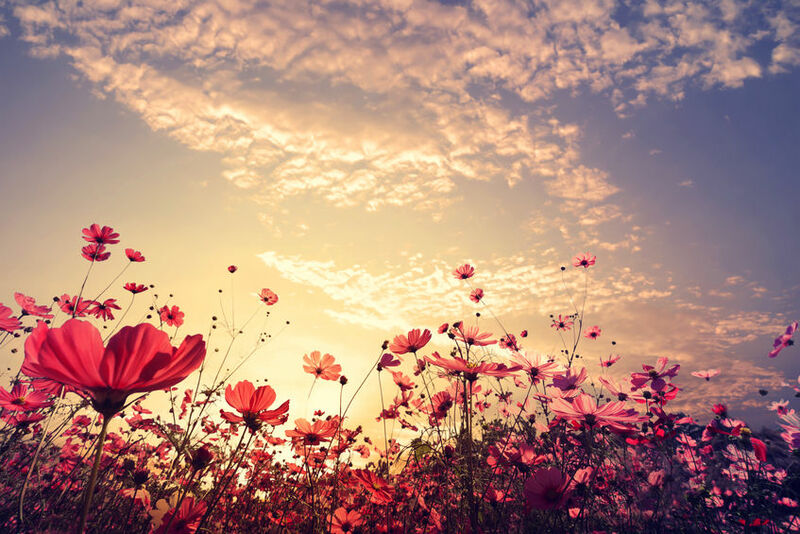 It is our hope to bring them all home now… one by one… even our skin care line will be coming home to Mama! We need our babies home where they will be well loved and cared for as only a THM Mama bear can! 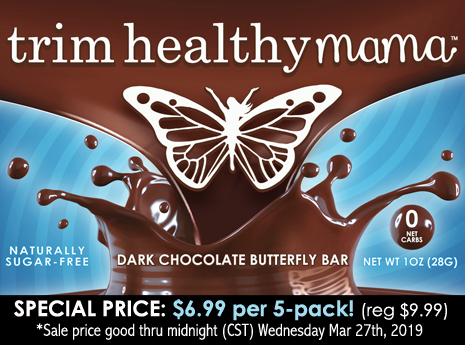 Speaking of sales, we are also throwing in our dark chocolate bars so we start manufacturing our own. 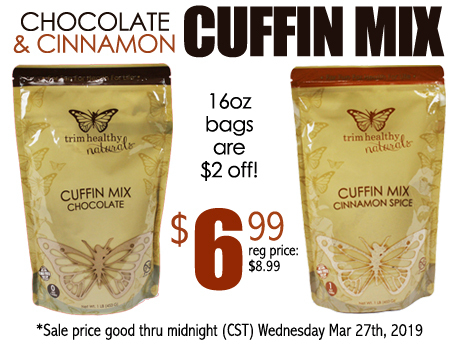 And Cuffin mixes too! Check out our video of the new building. We give you a sneak peek tour of the baking blend being made, the video kitchen where we’ll be soon shooting our new THM kitchen videos and the huge oven bay area where our bars, crackers, chips and granola will be made. A Whole New Podcast… it’s the UnShow! We rolled with it and the Unshow was born. It will come out every Saturday morning to start your weekend unwind. Of course, the Trim healthy Poddy is not going away, we are simply adding another whole new podcast so every week you get two from us. 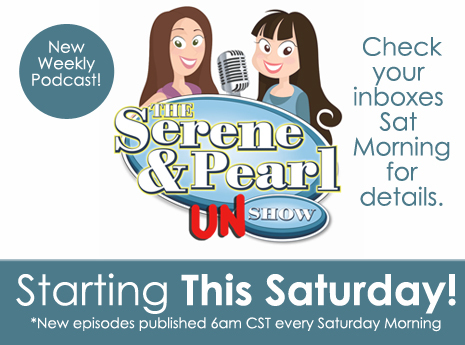 It is called the Unshow because it is all about the “un”… unpretentious, unprofessional, unscripted… basically we undo your uptight and you’ll have a good laugh and a good learn every Saturday morning. Rabbit trails… if you love them… have we got the show for you – wink! But actually, it won’t all be rabbit trails… you’re going to learn a lot despite all our shenanigans. We’ll have 3 “right to the point” segments in the show every single episode with great tips and take aways that you can rely on. Those are a nice, needed break from the “un.” The Unshow is not just all about THM, although we do talk health and food sometimes, it is more about the stuff of life, love, relationships, food, raising children, marriage, habits, and the crazy things we all do. Get ready to check your inbox this Saturday morning for our very first unshow. If you have never been in our member site yet, now is the time to do it. 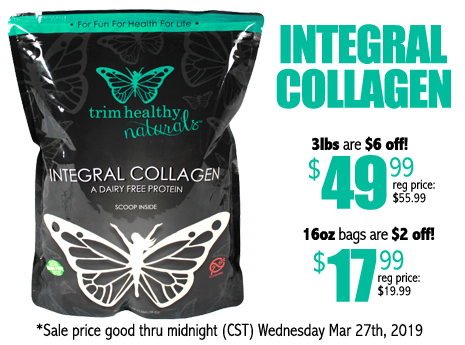 We have a sale going on and a brand-new menu in there that shows you a whole new, super healthy way to do the plan. THM puts you in charge, you’re the boss so you get to choose the unique way you want to do it. Sometimes that means though that your choices might warrant some tweaking. We go on and on in our podcasts and books about how veggies are a wonderful, important part of this plan. Now we show what that can actually look and taste like in this veggie rich menu. Have you been stalled? Have some health issues going on? Try out this new menu and see what happens. You’ll learn a lot from doing it and it is full of delicious food that is all super quick and easy to make even if you work outside of the home. This menu has 15 new recipes and hacks, and of course has a grocery list! 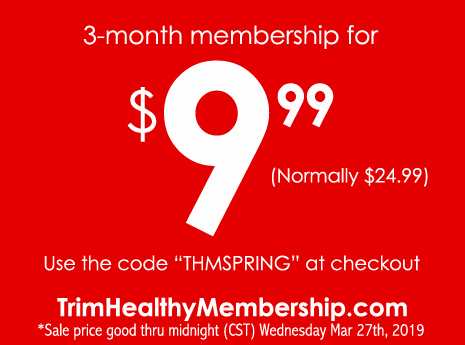 Members also get 10 percent off all of our THM products and have access to the hundreds of helpful videos, the data base of over 1000 vetted recipes, the custom menu builder, the helpful articles and so much more. 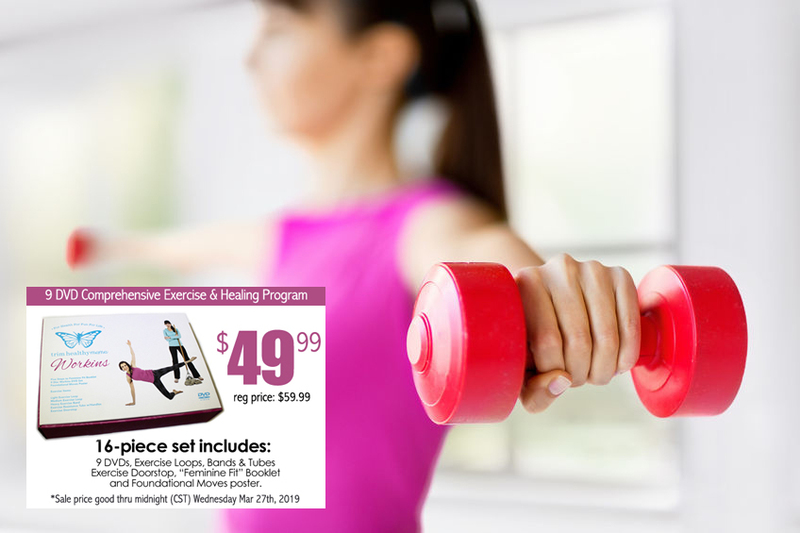 Workins Spring Challenge (and sale)! Do our healing Workins exercise program just 3 – 4 times a week and see how much your inner core strengthens and heals, your body tones up and your overall fitness increases by summer. Haven’t ever heard of Workins? They were designed by Serene (yeah me… I’m writing this part… wink) who spent several years researching how to exercise in a way that is safe and effective for our unique female bodies. They are for women of all ages and stages including pregnancy. Whether you haven’t exercised for years or whether you are super fit there is a Workin stage for you. They strengthen you from the inside out, including supporting and healing your pelvic floor. Workins are only 20 minutes long and are so fun to do (children love them too). 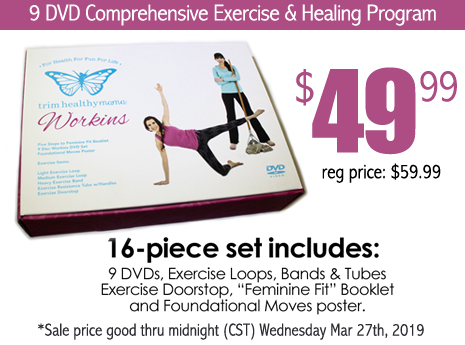 We have had so much feedback from Mamas who have found this is the first exercise program they have ever stuck with! – “I’ve been doing Workins regularly for two years. At 41 I’m in the best shape I’ve ever been. They are like medicine to me. They improve my emotional well-being as well as my physical shape. After 5 children I had DR (diastasis recti). It has definitely come together a lot since starting the Workins.” – Sabrina L.
– “They are quick but really do the job. I’ve been working out with the workins for 3 weeks 3 to 4 times a week and my husband and I are seeing huge difference in my bootie and legs and in my tummy. I’ll be swimsuit ready for my trip. My favorite part is I laugh and have fun with the sisters. They are such much fun!” – Deanna W.
– “Within 3 weeks of beginning Workins (nearly 2 years ago now! 😮), I no longer had to run to the bathroom every time I sneezed! And, never once during my last pregnancy (during which time I did Workins 3 times a week up until 41 weeks) or immediately after the baby was born did I have those issues either! And that was my 5th pregnancy. Simply a miracle. It never ceases to amaze me. I’d had problems ever since my first baby was born!” – Melody J.